In this episode of the Memberium Customer Spotlight series, Scott Macon the CEO of Macon Solutions, walks us through how the late Charles Poliquin’s membership site, StrengthSensei.com, is built with Memberium and bbPress. This site walkthrough is a great example how you can run a simple, successful membership site without using any learning management (LMS) plugin, a minimal number of other plugins and Infusionsoft. Scott previously worked for Hewlett Packard as a Storage Area Network administrator for 10 years. He joined Charles’ team a few years ago as the IT expert for Strength Sensei and has managed all of the Infusionsoft implementation for Strength Sensei since then. Charles Poliquin was one of the world’s most renowned strength coaches on the planet. He had trained over 400 Olympic medalists in his lifetime. At strengthsensei.com he trained members from all around the world on how to improve their strength and overall fitness. Strengthsensei.com currently has 1,800 active members across all of their programs. It is with great sadness since the recording of this video, Charles had unexpectedly passed away. In memory of the great legacy Charles had left behind, StrengthSensei.com will continue going forward. If you’d like to learn more about Charles Poliquin and his training program Strength Sensei, please visit www.strengthsensei.com. Find out how Strength Sensei was started with a random mix of content that was given to members. Over time they drastically improved the program’s content through surveys given to the first batch of members. Discover how Strength Sensei uses a mix of bbPress forums on their WordPress site and Facebook Groups for community building among their members. 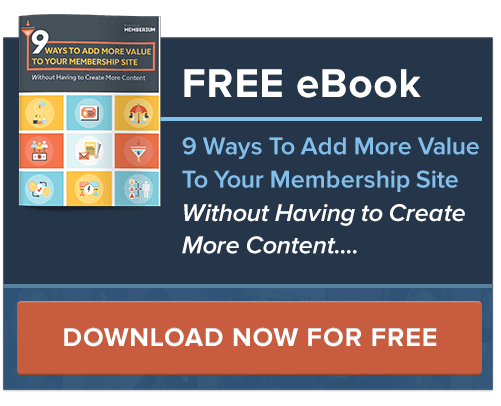 Get an inside look at how they went from the first version of their membership site content and improved it over time based on the direct feedback received from their members. Learn how they’re providing multi language video content to accommodate their non-English speaking members across the globe. Understand why they avoid to use multiple WordPress plugins and stay strictly focused on giving their customers just what they need need. Get other useful nuggets that you can apply to growing your own online course or membership site. This episode has tons of other useful tips for anyone running a fitness related membership site or course.